Although it would be ideal to leave acne behind in your teenage years, pimples still persist in adulthood, causing some distress. Dermatologist and pathologist Dr. Faisal Almohammadi of Dermcare clinic in Mississauga, Ont., says that while acne is still more common for teens with hormonal instability, medical experts still see it in adults. For women in particular, adult acne can be more common, Allure reports, but it is unclear to experts why these rates continue to rise. Some experts told the magazine it could be a mix of stress, dietary factors and changing hormones. Almohammadi says there are many causes of adult acne and all of them vary, depending on the patient. He adds adult acne can be caused by medications, bacterial infections or hormonal issues. For some, it could be caused by products or creams used on the skin and for others, even their lifestyle. 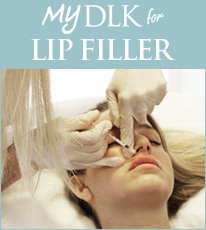 Dr. Lisa Kellett of DLK on Avenue of Toronto, adds the causes are often multifactorial and must be looked at by an expert. 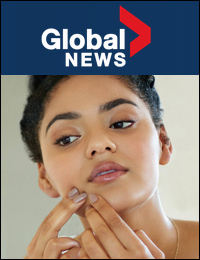 “Always, a medical cause for acne should be ruled out, such as polycystic ovarian disease or a tumour,” she tells Global News via e-mail. Kellett says genetics can play a role in causing acne, but some patients cause their own acne through the use of oils and creams. Picking is probably one of the worst things you can do to your skin, experts say, and squeezing pimples only leaves behind “holes” or worse, acne scars. He adds while acne continues to be one of the most difficult skin conditions to treat, further complications are added when patients try to fix it themselves. Mild adult acne is one thing, but if the acne spreads beyond your face to your chest, back or other body parts, it’s important to see a doctor. Some adults also have a hard time figuring out if their adult acne is actually acne. Almohammadi says it can be rosacea or other conditions that look like acne. Some people swear by natural acne treatments like tea tree oil to heal their breakouts, and Kellett adds treatments are different, depending on the kind of acne you have. “I always ask patients to bring in their products and extensively review her skincare to ensure they are not contributing to acne. Then the typical treatment algorithm is topical treatments, and possibly systemic treatments, peels, blue light treatment and photodynamic therapy,” she says. Then there is a question of off-the-counter products, the ones we see piled in drugstores and even at stores like Sephora. While there are plenty of options in the market to choose from, Almohammadi argues most products with benzoyl peroxide are intended for adults with mild acne, and while they work temporarily, they aren’t long-term solutions. “Once the acne becomes resistant, this is not the option,” he says, adding at this point he would recommend antibiotics or a medicated cream. Kellett says once you are on proper medication (Almohammadi says it could take up to three months for a new product or medication to work), controlling the acne is the next step.